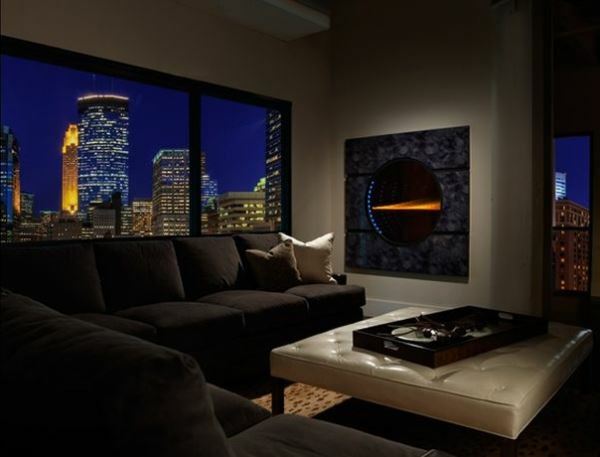 Many believe that a small living room can not be ideal. However, there are a myriad of successful design projects, from which you can learn original and spectacular ideas, thanks to which you can visually enhance space of any small room, in particular, the living room. Color is the main “weapon” of any designer. But, as with any weapon, you need to be extremely careful with the color. This is especially important in the design of small spaces. So, it is best if a small lounge will include light and soft monochromatic shades that do not press on the psyche and do not narrow the space. If you want something more vivid, the experts recommend choosing cold or warm tones of green or light blue palette. “Temperature” of shade can be selected depending on the brightness of the room. For example, blue and white decoration can add light to a small and poorly lit room, while a sufficient amount of light allows to decorate a small living room in shades of green. To begin, you should decide on a style, which will be used for a small lounge. This can be a romantic and light Provence style; high-tech style, filled with metallic luster; sleek and monochrome minimalism. 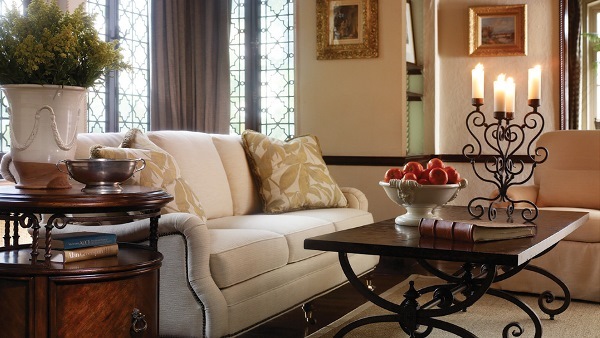 Each of these styles has its own stylistic nuances and tricks that will allow you to make the room more spacious. For example, the tenderness of Provence can easily be expressed through the white wooden floor and wooden furniture with light blue upholstery. Light and airy curtains of translucent fabrics and patterns with spatial landscapes will also be relevant. By the way, many designers prefer not even paintings, but wallpaper. This is a very effective move, as large images from a distant perspective (panorama outside the window or street, receding into the distance) can create a stunning and spacious interior. Minimalist style is based on the gray-white-black scheme. 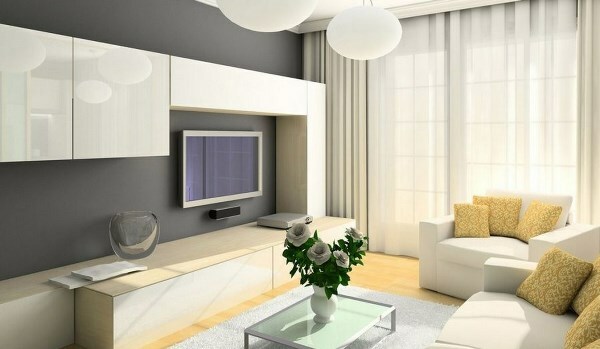 The best option is to choose pure white or light gray, as a small living room in dark colors will feel very dark and cramped. Light background can be complemented by dark gray furniture and black décor. Also glass interior items will have special look: shelves, tables, partitions. All this will make the room more airy. If you choose the high-tech style, it is all about ergonomics first, which means a minimum of furniture with a maximum range of functions will be good for small space. And, of course, the interior should contain metal objects with smooth, reflective surfaces and mirrors, due to which even the smallest living room will be filled with light.